Let me start by saying THANK GOODNESS IT IS RAINING! I would be happy if it rained HARD EVERY SINGLE DAY for the next two months - that is how badly we need it here in California. Let me continue by sharing that, upon waking to an otherwise unprecedented rainy and cold Saturday morning, I decided to make the most of my workout by trying the Cardio Assault class at the locally-famed Dethrone Basecamp. This fitness studio took over an under-utilized space in the heart of our local downtown and has flourished under the premise of high-intensity interval (HIIT) classes and the promise of results. 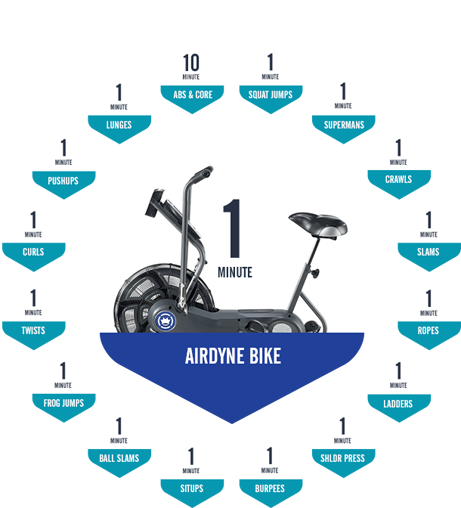 The framework of their popular Cardio Assault classes is basically one minute of all-out stationary biking interspersed with one minute of floor exercises (planks, squat jumps, burpees, etc) for 35 minutes, followed by ten minutes of strength and core work. A total of 45 minutes of Phew! that has become the talk of the town in recent months. There is something about getting 30 people in a small room, cranking the music and yelling GO!! that seems to bring out the sweaty best in everyone. Panting, dripping and sprinting through 45 minutes of intense interval training work I found myself going from being a stranger to the people working out next to me, to high-fiving and exchanging supportive cheers with them. With great suffering comes great camaraderie. With great inspiration comes the ability to get outside of your own head and self-imposed limitations and to push to the limit. With a clock counting down the remaining minutes and seconds you find you can do anything by parsing it down to bite-sized pieces and getting through each one. A minute of all out effort is hard but doable - taken one at a time, even 35 of those is manageable and the collective is an impressive feat. A good life lesson if there ever was one. When I am in these classes - or on the track - maxing out my effort to the point of doubled-over, gag-inducing exertion I no longer feel like a past-my-prime 37 year old; there is strange relief in being overwhelmed by the moment, rather than by the constant pressures of being busy, sleep-deprived working mom; I can focus on and feel the strength of my body and my mind, and not be distracted by the imperfections, mental and physical, that otherwise nibble at the edges of my confidence; I can reclaim the 20 year old athlete inside of me that was able to push everything aside and go for it. It may not be pretty, it may not be graceful, but it is a powerful antidote to the weight of the world.